is a Cognac from the Grande Champagne vineyards - Premier Cru de Cognac. The blend comes in a round 700 ml bottle. Gold medal at the Prodexpo Wine Fair in Moscow in 2003. 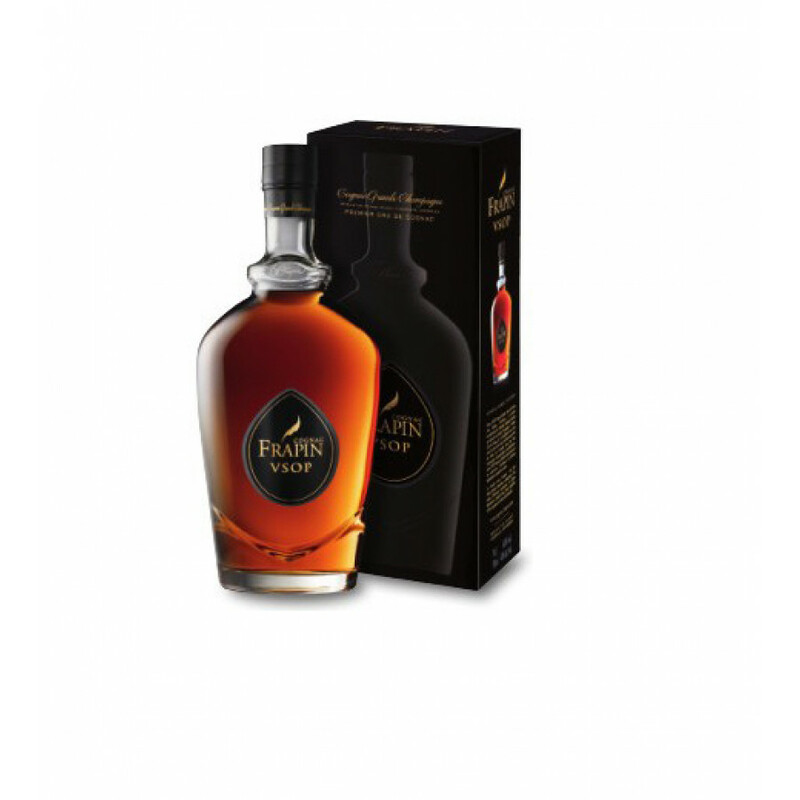 Frapin VSOP received the acclaimed award World's Best VSOP Cognac 2016. Over the past several weeks, I've embarked on a tasting program of VSOP, Napoleon, and XO Cognacs. To that end, I have tasted 4 different VSOP Cognacs, 2 Napoleon, and 2 XO Cognac bottles. Of those tasted, the Frapin VSOP is in a virtual first place tie with the Daniel Boujou on a point basis. The Boujou may have a slight edge in nose, but the Frapin suits my palate a bit better. In reality it depends on an individual's personal preferences. I happen to enjoy the palate of the Frapin, as it has excellent nutty tones that I appreciate, with a very smooth initial taste when it hits my tongue. The flavors round out to a bit of nutmeg and cinnamon before swallowing. The finish is very smooth and enjoyable with a nutlike rather than vanilla finish. By way of comparison, I included Courvoisier and Hennessy in the VSOP tastings, both of which are also excellent. Of these 4, I would rate the Frapin as #1 on the palate, and in a virtual tie with any of the others w/r to value received.